I really prefer the title "Swashfuckler." In fact, "swashfuckler" is my new favorite word. Of all time. "...stop itinerant cows or sheep..."
President Bush's visit to Mongolia next week caps two years of unprecedented high-level visits by senior US officials and a year that has seen a record number of special conferences devoted to Mongolia in the US. Last month, Defense Secretary Donald Rumsfeld visited Ulaanbaatar (and received a horse that he named "Montana"), during which he committed $17 million for additional training of the Mongolian military for UN peace-keeping operations (PKO). We are grateful to US Ambassador Pam Slutz for her unrelenting advocacy and facilitation of these high-ranking visits. Mongolian Ambassador to the US Ravdan Bold was the driving force and "invisible hand" behind three important and high-profile conferences devoted to Mongolia this year. The first was in Washington last February at the Heritage Foundation, co-sponsored by the Asia Foundation and Georgia Tech; the second last month, also in Washington, sponsored by the Asia Society, featured lectures by every former US ambassador to Mongolia plus Ambassador Pam Slutz; the third was held last week in Honolulu, on Northeast Asia and Mongolia, co-sponsored by the Asia-Pacific Center for Security Studies, the School of Hawaiian, Asian and Pacific Studies, the East-West Center and the Mongolian Academy of Management. Ambassador Bold will be in UB for President Bush's visit. Adding to this new visibility are the growth in the number of English-language websites devoted to coverage of Mongolia. One of the best is _www.mongolianartist.com_ (http://www.mongolianartist.com/), which covers a lot more territory than its site name suggests. PRESIDENT BUSH TO SPEND A CROWDED FIVE HOURS IN UB -- The President will spend only about five hours in Mongolia on November 21, arriving in the morning from Beijing on Air Force One (a specially configured Boeing 747 jet) and departing in the afternoon for a re-fueling stop at Elmsdorf Air Force Base in Alaska en route home to Crawford, TX, for Thanksgiving. Because of the length of the runways at UB, Air Force One can only land with gas tanks half full. The President is traveling with an entourage of about 500 people, including Secretary of State Condoleeza Rice and other officials, White House and NSC staff, Secret Service and the entire press corps that will have accompanied the President on his visits to Kyoto, Pusan and Beijing before arriving inUB. The White House characterizes this trip as a "working visit," not a "State Visit." The Administration said that Bush was coming to Mongolia at the invitation of President N.Enkhbayer, who himself first met with President Bush in the fall of 2001 as Prime Minister, soon after Mongolia became the first Asian country to offer support to the US following the terrorist attacks of 9/11. President Bush will deliver an address in the newly-refurbished auditoriumin Government House, which will be broadcast live on Mongolian TV. He will hold separate meetings with President N.Enkhbayar and Prime Minister Ts.Elbegdorj and meet with Mongolian soldiers who served in Iraq and their families to thank them. Mongolia maintains a force of over 130 peacekeepers in Iraq, which distinguished itself by adroitly interdicting a terrorist assault on US troops. The White House said the President and First Lady Laura Bush will also visit a "traditional Ger village" and see a cultural performance that includes Mongolian throat singing and horse-head fiddle playing. 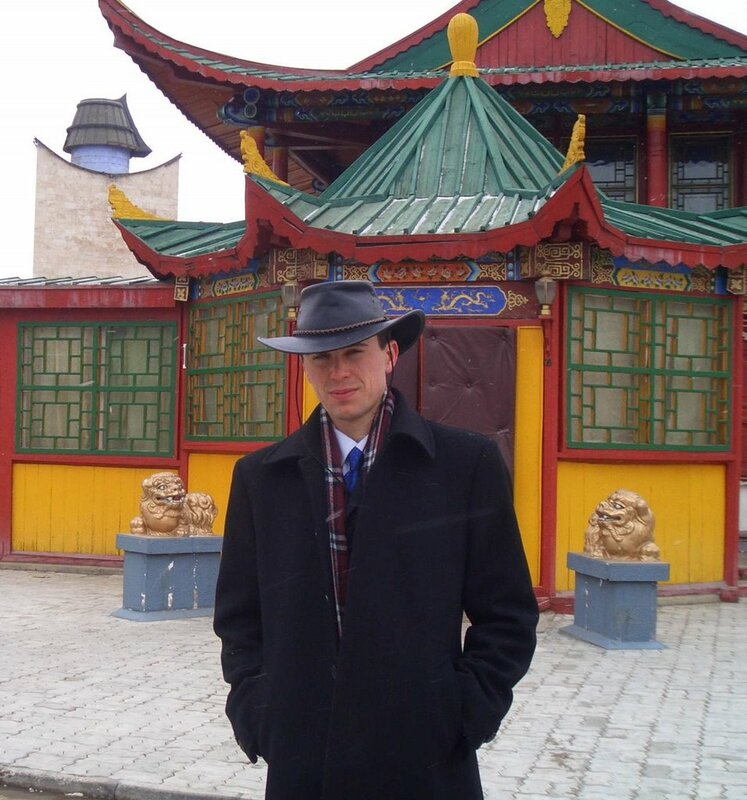 Despite Ambassador Pam Slutz's best efforts, it proved impossible to carve out time in the President's schedule to meet with the NAMBC -- or even just American ex-pats working in Mongolia. Buyant-Ukhaa International Airport will be hard-pressed during the visit by the number of Boeing 747 planes carrying the President's party. Regular commercial air traffic will be delayed or grounded. One US plane will be carrying the President's specially made bullet-proof limousine, which the Secret Service requires on every trip. Security experts tell us US fighter jets will be circling UB to protect Air Force One. An advance team of about 250 Secret Service officers and staff arrived in Ulaanbaatar 10 days ago. Among their requests was to immediately repair potholes on the road between the airport and the city so that the President's motorcade can race into the city at top speed. Mongolian police and security forces will closely patrol the shoulders -- primarily to stop itinerant cows or sheep from wandering into the roadway. For security reasons, when moving the President by car, the Secret Service prefers to travel at the maximum safe speed. Even in Washington, DC, when the President goes to Capitol Hill from the White House, streets are closed off to all other traffic briefly so that the motorcade can move at 60 MPH or faster. Security will be tight on November 21. Bush is the first US President to visit Mongolia. US Vice President Henry Wallace, who served under President Franklin D. Roosevelt during his third term, visited Mongolia during World War II. Secretaries of State James Baker and Madeleine Albright visited during the Bush-41 and Clinton Administrations, respectively. In 1995, Senator Hilary Rodham Clinton (D-NY) visited Mongolia as First Lady. Twenty-eight years before he was elected President, Herbert Hoover visited Mongolia when he was working in China as a mining engineer and President Jimmy Carter visited Mongolia 24 years after the left the White House. BUSH AGENDA IN UB --- The simple fact and symbolism of the Bush visit to Mongolia is probably more significant than any specific issues that might be discussed. One retired Chinese diplomat told us, "That your President detours to visit a country with a population smaller than metropolitan Washington, DC, says a lot to Moscow and Beijing all by itself. 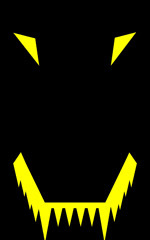 It is a message like thunder." Although there is still some hope that President Bush might announce some progress towards signing a Millennium Challenge Account compact, the President's remarks in a seven-minute on-camera interview with UB's EagleTV on November 8 appeared to signal that an MCA compact was not imminent. According to Agence France Presse, Bush "warned Mongolia that there 'should be no corruption in government,' if it wanted to receive American aid." As a matter of policy, countries eligible for MCA grants have experienced reductions in the level of normal USAID grants; Mongolia's annual USAID allocation has dropped to US$7 million from US$12 million. Bush also told Eagle-TV: "I will say on your TV screens, there should be no corruption in government, that one of the foundations of any government is the ability for the people to trust the government, itself...A foundation of our foreign policy, and a foundation of our Millennium Challenge Account is that there be honest government." 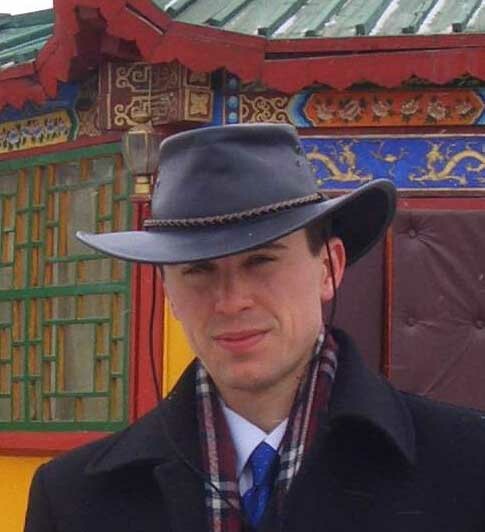 Bush described Mongolia as "a friend" but then went on to say, "On the other hand, we will insist that as a condition of the Millennium Challenge checks being written that there be honest government, that there be investment in health and education of the people, that there be a dedication to rule of law and to the marketplace." Bush concluded by commenting that "I think investments will help the people of Mongolia. In other words, there's a way for people in America --businesses, for example -- to invest in Mongolia, because that means jobs and stability and a good future...you'll find Americans are very compassionate people that love freedom. And they want to help people be free. And by the way, your form of government is democracy, but it ought to reflect your traditions and your great history. And I know it is. Listen, I'm looking forward to going to your wonderful country. It's going to be a fantastic experience. I'm excited, I truly am excited to come." The National Security Council Asia Director, Dr. Michael Greene, responded to an email question on the White House website recently about why the President was going to Mongolia: "In Mongolia the President will congratulate the Mongolian people on the progress they have made to become a mature and stable democracy and he will thank them for their role in Iraq. Per capita only two other countries have sent more of their soldiers to help the Iraqi people establish a democratic and stable nation. It is young democracies like Mongolia's that often understand freedom the most, and the President wants to say thank you. He also wants to demonstrate that even remote countries have a strong friend in the United States when they embark on the path of reform and good governance. In twenty-five years, the Mongol army subjugated more lands and people than the Romans had conquered in four hundred years. 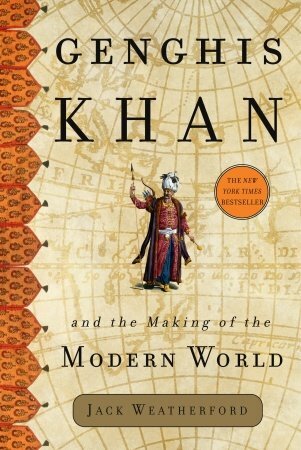 Genghis Khan, together with his sons and grandsons, conquered the most densely populated civilizations of the thirteenth century. Whether measured by the total number of people defeated, the sum of the countries annexed, or by the total area occupied, Genghis Khan conquered more than twice as much as any other man in history. The hooves of the Mongol warriors' horses splashed in the waters of every river and lake from the Pacific Ocean to the Mediterranean Sea. At its zenith, the empire covered between 11 and 12 million contiguous square miles, an area about the size of the African continent and considerably larger than North America, including the United States, Canada, Mexico, Central America, and the islands of the Caribbean combined. It stretched from the snowy tundra of Siberia to the hot plains of India, from the rice paddies of Vietnam to the wheat fields of Hungary, and from Korea to the Balkans. The majority of people today live in countries conquered by the Mongols; on the modern map, Genghis Khan's conquests include thirty countries with well over 3 billion people. The most astonishing aspect of this achievement is that the entire Mongol tribe under him numbered around a million, smaller than the workforce of some modern corporations. From this million, he recruited his army, which was comprised of no more than one hundred thousand warriors—a group that could comfortably fit into the larger sports stadiums of the modern era. In American terms, the accomplishment of Genghis Khan might be understood if the United States, instead of being created by a group of educated merchants or wealthy planters, had been founded by one of its illiterate slaves, who, by the sheer force of personality, charisma, and determination, liberated America from foreign rule, united the people, created an alphabet, wrote the constitution, established universal religious freedom, invented a new system of warfare, marched an army from Canada to Brazil, and opened roads of commerce in a free-trade zone that stretched across the continents. On every level and from any perspective, the scale and scope of Genghis Khan's accomplishments challenge the limits of imagination and tax the resources of scholarly explanation. In nearly every country touched by the Mongols, the initial destruction and shock of conquest by an unknown tribe yielded quickly to an unprecedented rise in cultural communication, expanded trade, and improved civilization. In Europe, the Mongols slaughtered the aristocratic knighthood of the continent, but, disappointed with the general poverty of the area compared with the Chinese and Muslim countries, turned away and did not bother to conquer the cities, loot the countries, or incorporate them into the expanding empire. In the end, Europe suffered the least yet acquired all the advantages of contact through merchants such as the Polo family of Venice and envoys exchanged between the Mongol khans and the popes and kings of Europe. The new technology, knowledge, and commercial wealth created the Renaissance in which Europe rediscovered some of its prior culture, but more importantly, absorbed the technology for printing, firearms, the compass, and the abacus from the East. As English scientist Roger Bacon observed in the thirteenth century, the Mongols succeeded not merely from martial superiority; rather, "they have succeeded by means of science." Although the Mongols "are eager for war," they have advanced so far because they "devote their leisure to the principles of philosophy." With so many accomplishments by the Mongols, it hardly seems surprising that Geoffrey Chaucer, the first author in the English language, devoted the longest story in The Canterbury Tales to the Asian conqueror Genghis Khan of the Mongols. He wrote in undisguised awe of him and his accomplishments. Yet, in fact, we are surprised that the learned men of the Renaissance could make such comments about the Mongols, whom the rest of the world now view as the quintessential, bloodthirsty barbarians. The portrait of the Mongols left by Chaucer or Bacon bears little resemblance to the images we know from later books or films that portray Genghis Khan and his army as savage hordes lusting after gold, women, and blood. With Genghis Khan's decision to cross the Gobi and invade the Jurched in 1211, he had begun not just another Chinese border war: He had lit a conflagration that would eventually consume the world. No one, not even Genghis Khan, could have seen what was coming. He showed no sign of any global ambitions inasmuch as he fought only one war at a time, and for him the time had come to fight the Jurched. But starting from the Jurched campaign, the well-trained and tightly organized Mongol army would charge out of its highland home and overrun everything from the Indus River to the Danube, from the Pacific Ocean to the Mediterranean Sea. In a flash, only thirty years, the Mongol warriors would defeat every army, capture every fort, and bring down the walls of every city they encountered. Christians, Muslims, Buddhists, and Hindus would soon kneel before the dusty boots of illiterate young Mongol horsemen. Although Guchlug was originally a Christian and the Black Khitan were Buddhists, they shared a common mistrust of the Uighur subjects, who were Muslims. 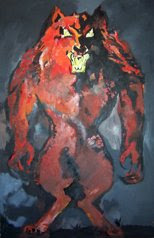 In his newly acquired position as ruler of the kingdom, Guchlug began to persecute his Muslim subjects by limiting the practice of their religion. He forbade the call to prayer and prohibited public worship or religious study. When Guchlug left the capital of Balasagun on a campaign, his subjects closed the city gates behind him and tried to prevent his return. In retaliation, he besieged the capital, conquered it, and then razed it. Without a Muslim ruler willing to protect them, the Muslims of Balasagun turned to Genghis Khan to overthrow their oppressive king. Though the Mongol army was stationed twenty-five hundred miles away, Genghis Khan ordered Jebe to lead twenty thousand Mongol soldiers across the length of Asia and defend the Muslims. Because the Mongols conducted the campaign at the request of the Uighur Muslims, they did not allow plunder, destroy property, or endanger the lives of civilians. Instead, Jebe's army defeated the army of Guchlug and had him beheaded. Following the execution, the Mongols sent a herald to Kashgar to proclaim the end of religious persecution and the restoration of religious freedom in each community. According to the Persian historian Juvaini, the people of Kashgar proclaimed the Mongols "to be one of the mercies of the Lord and one of the bounties of divine grace." Although Persian and other Muslim chroniclers recorded the episode in tremendous detail, the Secret History of the Mongols summed up the entire campaign in one simple sentence. "Jebe pursued Guchlug Khan of the Naiman, overtook him at the Yellow Cliff, destroyed him, and came home." From the Mongol perspective, that is probably all that mattered. Jebe had killed the enemy and returned home safely. The Mongol army had accomplished in a mere two years what the European Crusaders from the West and the Seljuk Turks from the East had failed to do in two centuries of sustained effort. They had conquered Baghdad, the heart of the Arab world. Near the end of 1253, the Year of the Ox, William of Rubruck, a Franciscan monk, came to the Mongol court as an envoy from the French king. Despite the common religion, Rubruck greatly resented the Assyrian, Armenian, and Orthodox Christians at the Mongol court. Since he considered all non-Catholics to be heretics, he contemptuously designated the Mongol congregants of the Assyrian Church as Nestorians in reference to Nestorius, the fifth-century Patriarch of Constantinople who was condemned as a heretic by the Council of Ephesus in 431. Among the Assyrian beliefs that Rubruck held to be heretical was that the Virgin Mary was the mother of Christ, but not the mother of God. They also differed from the Catholics in their steadfast refusal to portray Christ on the cross as a violation of the Mongol taboos on depicting death or blood. 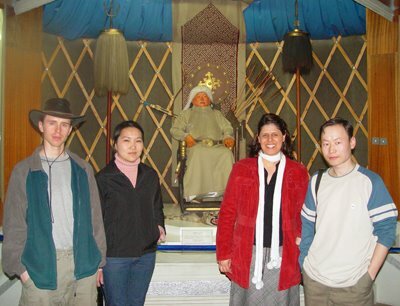 Even when they admitted to being Christians, Mongols did not consider their religion as their primary identification. As one of the Mongol generals who was a follower of Christianity explained, he was no Christian—he was a Mongol. Rubruck informed the officials that he knew the word of God and had come to spread it. In front of the assembled representatives of the various religions, the khan asked Rubruck to explain to them the word of God. Rubruck stumbled over a few phrases and stressed the importance to Christians of the commandment to love God, whereupon one of the Muslim clerics asked him incredulously, "Is there any man who does not love God?" The discussion continued for some time, and according to Rubruck's own account, it was obvious that he did not fare well in the sometimes acrimonious arguments. He was unaccustomed to debating with people who did not share his basic assumptions of Catholic Christianity. Evidently, Mongke Khan recognized the problems he was having and suggested that all the scholars present take time to write out their thoughts more clearly and then return for a fuller discussion and debate of the issues. The Mongols loved competitions of all sorts, and they organized debates among rival religions the same way they organized wrestling matches. It began on a specific date with a panel of judges to oversee it. In this case Mongke Khan ordered them to debate before three judges: a Christian, a Muslim, and a Buddhist. A large audience assembled to watch the affair, which began with great seriousness and formality. As these men gathered together in all their robes and regalia in the tents on the dusty plains of Mongolia, they were doing something that no other set of scholars or theologians had ever done in history. It is doubtful that representatives of so many types of Christianity had come to a single meeting, and certainly they had not debated, as equals, with representatives of the various Muslim and Buddhist faiths. The religious scholars had to compete on the basis of their beliefs and ideas, using no weapons or the authority of any ruler or army behind them. They could use only words and logic to test the ability of their ideas to persuade. Their debate ranged back and forth over the topics of evil versus good, God's nature, what happens to the souls of animals, the existence of reincarnation, and whether God had created evil. Between each round of wrestling, Mongol athletes would drink fermented mare's milk; in keeping with that tradition, after each round of the debate, the learned men paused to drink deeply in preparation for the next match. No side seemed to convince the other of anything. At the end of the debate, they concluded the way most Mongol celebrations concluded, with everyone simply too drunk to continue. While the clerics debated at Karakorum, their religious brethren were hacking at each other and burning one another alive in other parts of the world outside the Mongol Empire. At almost the same time of Rubruck's debate in Mongolia, his sponsor, King Louis IX, was busy rounding up all Talmudic texts and other books of the Jews. The devout king had the Hebrew manuscripts heaped into great piles and set afire. During Rubruck's absence from France, his fellow countrymen burned some twelve thousand hand-written and illuminated Jewish books. For these and other great services to the furtherance of the Gospel of Jesus Christ, his church canonized him as Saint Louis, thereby making him a figure of veneration that good Christians could emulate and to whom they could pray as an intermediary between humans and God. A few days after the debate at Karakorum, Mongke Khan summoned Rubruck to discharge him and send him back to his home country. He took this occasion to explain to the priest, and through him to the rulers of Europe, that he himself belonged to no single religion, and he lectured Rubruck on Mongol beliefs about tolerance and goodness. Thus, between 1242 and 1293, the Mongol expansion reached its maximum, and four battles marked the outer borders of the Mongol world—Poland, Egypt, Java, and Japan. The area inside those four points had suffered devastating conquests and radical adjustments to a markedly different kind of rule, but they were about to enjoy an unprecedented century of political peace with a commercial, technological, and intellectual explosion unlike any in prior history.